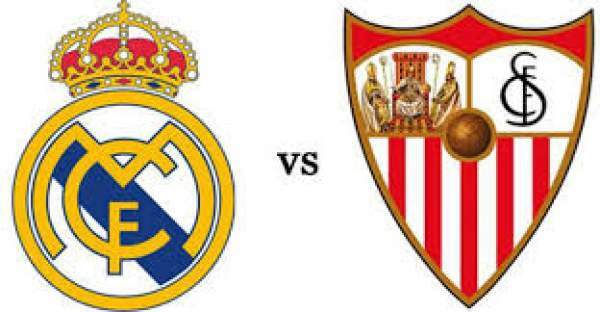 Real Madrid vs Sevilla Live Score UEFA Super Cup 2016 Live Streaming SEV v RMA Match Preview Prediction 9th August: Today we have one of most anticipated games of the season as it is the UEFA Super Cup. RealMadrid plays SFC at the Lerkendal Stadium in Trondheim, Norway. Both teams play in the Spanish La Liga and are very strong in their style of play. RM won their 11th Champions League whereas Sevilla won the Europa League. RMA is currently playing in the InternationalChampionsCup which is a friendly tournament whereas Sevilla FC has been playing individual matches. 10th August 2016 at 00:15 (IST). Real Madrid has been currently playing in the International Champions Cup and is in group 1 of the tournament. They are third on the table with six points from three games as they won two games and lost one, scoring five and conceding five goals. They have an average possession of 52% with a pass accuracy of 89% and have scored five goals from 31 shots with an accuracy of 41%. They won against Chelsea by 3-2 and against Bayern Munich 0-1 and lost to Paris Saint-Germain by 1-3. They played their last game against Bayern Munich and won the game by 1-0 as Danilo scored from his left foot in the center of the goal. Bayern Munich had 53% possession whereas RealMadrid had 46% possession. Munich had nine shots on goal, and two were on target whereas RM had 10 shots and had two shots on target. Munich had 645 passes in total whereas RMA had 565 passes in total. Sevilla played in the Primera Division in Spain and finished seventh in the league with 52 points from 38 games as they won 14 games, drew 10 and lost 14. They scored 51 goals and conceded 50. Kevin Gameiro scored 16 goals and was the top scorer for his team, but have been sold to ATM. Gabriel Mercado has been bought from Riverplate for 2 million Euros. Jorge Moreno has been sold to Schalke. Yedder has been acquired from Toulouse FC for 9 million Euros and their main striker have been sold to Atletico Madrid for 32 million Euros. Both the teams will try their best to win this and get ready for the next season. You can watch it live on Ten network.